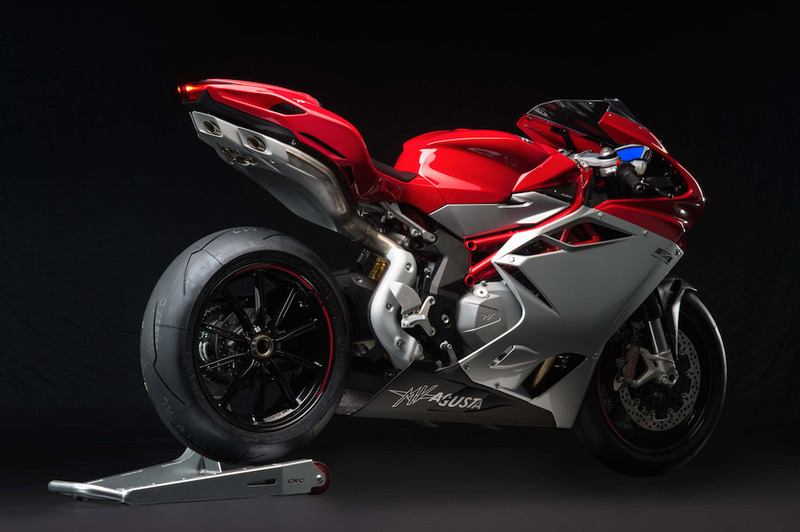 Now, The flagship F4 joins the Brutale 1090 street-fighter in MV Agusta’s portfolio while the F3 unveiled last week will be joining the stable in early 2016. Having made its official debut in India just last week with the Brutale 1090 street-fighter, MV Agusta has now officially launched the flagship F4 in the country, priced at Rs. 25.5 lakhs (ex-showroom, Pune). The F4 is a track scorching superbike built with a host of electronics on board to satiate the overwhelming power output while keeping things beautiful is the iconic Italian styling that makes the F4 so desirable. 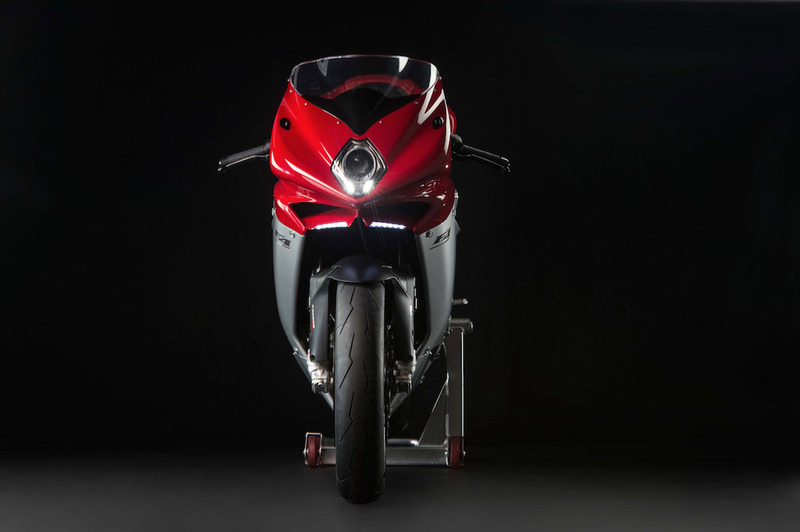 Sharp as a razor, the MV Agusta F4 is powered by a 998cc in-line, 4-stroke, 16-valve, four-cylinder engine that is tuned to produce 195 PS of power at 13,400 RPM and 110.8 Nm of torque at 9600 RPM, paired to a 6-speed gearbox that sends power to the rear wheel via a chain drive. The F4 boasts of a host of electronics including MVICS (Motor and Vehicle Integrated Control System) technology, ELDOR electronics package with Ride-By-Wire and four engine maps; 8-stage traction control, Torque Shift System, Inertial platform lean angle sensor and Electronic Assisted Shift (EAS). The top speed is rated at 291.2 km/hr. The bike rides on 120/70/R17 front and 200/55/R17 rear tyres wrapped around aluminium alloys. 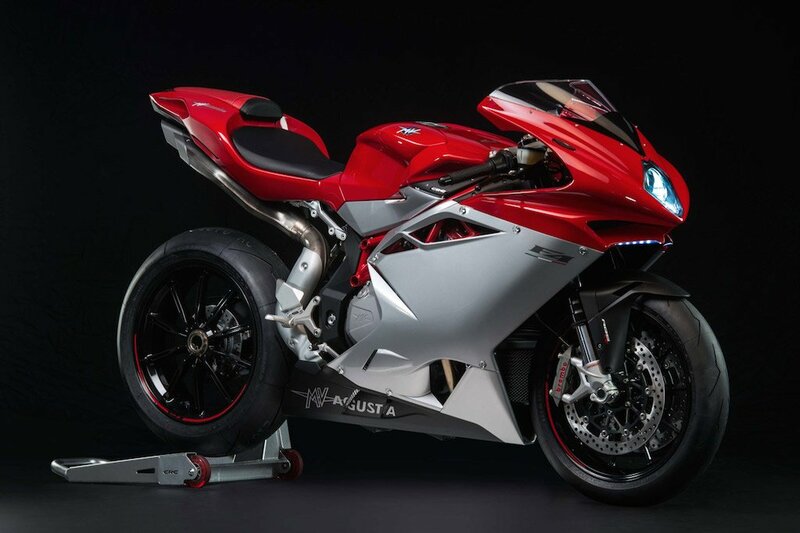 For its Indian operations, MV Agusta has partnered with the Kinetic Group that will be taking care of the retail as well as after sales and service aspects for the manufacturer. The Indian automaker has also set up the ‘Motoroyale’ initiative that will establish dealerships across the country to retail the superbikes while bookings at present can be made via the Motoroyale.in website. I wish to own this machine one day. And just admire it in my garage.